← LIAR! LIAR! Pants on Fire!!! The BIBLE? You don’t own one . . .
Maybe you are asking why I would make such a statement? Simple . . . it is the truth (don’t worry, I will back this up). Let’s start with the word Bible. The word “bible” is from the Greek word βιβλίον biblion. It means: book, scroll, bill, writing or written document. βιβλίον biblion is a synonym for βίβλος biblos or sacred writing- book – scroll. Biblos is an Egyptian loanword, originally bublos. “It denotes in the first instance the shrub of the papyrus and then its bark” (Schrenk, “biblos,” Kittel, 1:615). As early as the Sixth Century B.C. papyrus became the standard writing material in Greece. Hence the word came to mean “inscribed paper” (ibid.). Thoralf Gilbrant, ed., “969. βίβλος,” in The Complete Biblical Library Greek-English Dictionary – Alpha-Gamma, (Springfield, MO: Complete Biblical Library, 1991), WORDsearch CROSS e-book, Under: “969. Î²á½·Î²Î»Î¿Ï‚”. Biblion, a diminutive form of biblos (969), simply means a “book, document, scroll, writing.” In classical Greek the diminutive force would have made it mean a “little book or scroll.” Biblos, the parent word, originally came from Byblos, the name of a city in Syria. This seaport city was a major avenue for the shipping of papyrus plants to Greece, where the plants were converted into writing material. Eventually biblion came to be so commonly used in place of biblos that another diminutive form, biblaridion (967), was needed. Although this form is unknown in classical Greek, it does occur elsewhere (e.g., Revelation 10:2,8-10). Thoralf Gilbrant, ed., “968. βιβλίον,” in The Complete Biblical Library Greek-English Dictionary – Alpha-Gamma, (Springfield, MO: Complete Biblical Library, 1991), WORDsearch CROSS e-book, Under: “968. Î²Î¹Î²Î»á½·Î¿Î½”. I know – I know! You are saying to yourself – this is NOT supporting your thesis Bill! If you will bear with me, there is a lesson (or two or three) in all of this . . .
As you can see, the first Greek word in this verse is βίβλος biblos in both of the two Greek texts above. Why is there two different Greek texts? I will let you think about that question for a minute because it is the beginning of understanding several huge concepts and truths . . . Does it make sense that if the text is the text and there is no variance, that one Greek text should and would be sufficient? Would we need 2 different texts that say the exact same thing? So why the two? It is simple and yet very complex. I am going to try and explain the complex part so that it is simple too. We don’t have to go very far from Matthew 1:1 to do this. Luke 17:1 (CJB) 1 Yeshua said to his talmidim, “It is impossible that snares will not be set. But woe to the person who sets them! Luke 17:1 (AMP) 1 AND [Jesus] said to His disciples, Temptations (snares, traps set to entice to sin) are sure to come, but woe to him by or through whom they come! The above are Greek TRANSLATIONS of the text. Translations are based on many things: the translator’s knowledge of the language, understanding, deduction, logic, theology, extant manuscripts, letters, etymology, syntax, grammar, possessives, history, and yes, even politics – the list is huge. There are also many more Greek translations than the two cited above – The same can be said of the Hebrew texts as well. you own a “translation” of the bible. 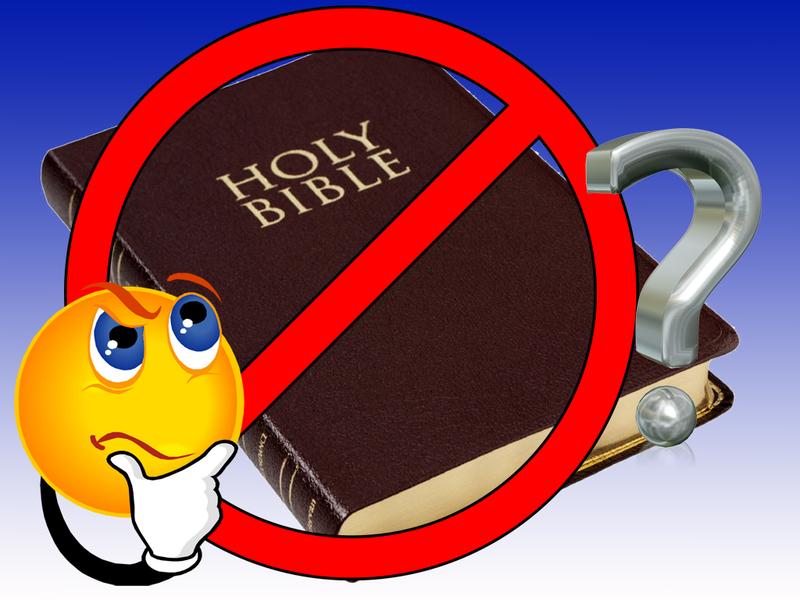 Which translation of the the bible (KJV, NASB, NIV, CJB, etc) gets every single word correct? Which translation gets every single understanding correct? Which translation gets every single etymology correct? You see, we do NOT have the original “autographs (documents).” We have some really old ones, but not the originals. The original autographs would be the bible. We own translations of the autographs. Before you jump to conclusions, let me head them off right now . . . The translations we have are trustworthy – even with their variances! We know this because of textual criticism. Qumran and the Dead Sea Scrolls were one of many confirmations of this. A very good book by a man I respect is Searching for the Original Bible by Dr Randall Price. I actually got to meet him in Israel last year when we were at Qumran. He was very gracious and dropped what he was doing and gave our group a teaching. It was awesome! Hopefully what I am doing by pointing this out is to get you to read the text critically – to study God’s word with purpose and intention! Hopefully this will remind you to pray for discernment before you study – to rely on the Ruach HaKodesh (Holy Spirit) for guidance and wisdom! We do NOT want to do eisegesis ever! Eisegesis leads to adding to the text. Doctrines, dogmas, theological suppositions are often a result of eisegesis, or as some scholars joke concerning eisegesis: bad exegesis. has it foundation in an eisegetical approach to the text. The Amplified translation of the bible can be a good starting point too as it takes key words and amplifies them so that you can get a fuller understanding of the meaning of the word biblically. Several good commentaries can be of use too as some of them explain the words very well. If you can’t afford them, http://www.blueletterbible.org/index.cfm has a few free tools that you can use to study such as lexicons and dictionaries along with multiple translations of the text. In other words, I have many translations and many dictionaries to explain the differences in those translations. So you may wonder – What religion am I? What doctrine do I subscribe to? Some of you may feel you know based on the commentaries. The answer is none, I follow the one true God YHVH. I am his child and he is my father and I love him deeply! I am a follower of the one he sent – his son Yeshua HaMashiach (Jesus the Christ). I have belonged to Christian congregations and I have belonged to Messianic ones because I have to belong to a body of believers. I give verses and commentaries excerpts instead of references to them so that you can see for yourself – I do NOT want you to take my word blindly – I want you to check the facts before you believe just like the Bereans did. The main reason I write what I write is because I want to help you, if I can, fall in love with our Father’s word. It is a word that is sufficient without creeds and dogmas and doctrines and, well, at times gobbledygook mucking it up. I want to help you strip away your preconceived notions and suppositions so that you can study God’s word as naked before him as King David was when he danced before our Lord . . . This entry was posted in Word Studies and tagged bible, Dictionary, Greek, Hebrew, Lexicon, translation. Bookmark the permalink.